Welcome home to 11008 Shady Hollow Dr! This home is move in ready. Enjoy this upgraded eat in kitchen with great cabinet space. The first floor master bedroom has a private full bathroom with a standalone shower and a large tub. There are 4 bathrooms total in this great home! The finished basement leads to the attached garage and laundry room. There is a wet bar and half bathroom in the basement as well - perfect for entertaining. You'll love using your new fireplace in the living room that boasts tall ceilings. This home's backyard is fully fenced in with a privacy fence. Home sits on a street that ends in a cul-de-sac. Schedule your showing today! SchoolsClick map icons below to view information for schools near 11008 Shady Hollow Dr Louisville, KY 40241. 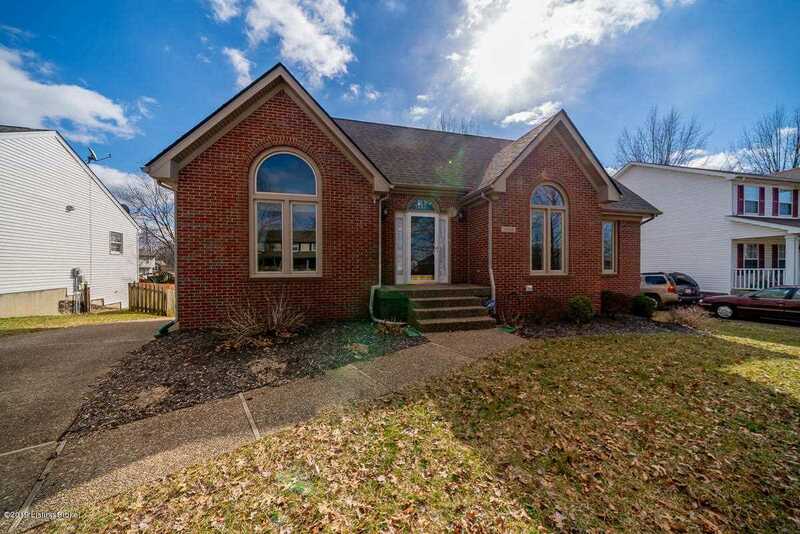 MLS # 1524478: This property at 11008 Shady Hollow Dr, Louisville, KY 40241 is located in the Brooks Of Hickory Hollow subdivision and is listed for $235,000. MLS # 1524478 has been on the market for 69 days.